Kate Spade can do no wrong. I'm daydreaming of every single thing you see here. We're using paper straws for our wedding reception. 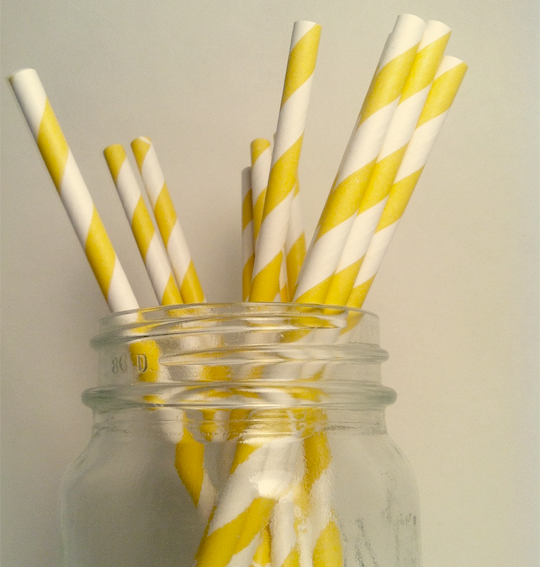 I love their cute vintage flair and the fact that, unlike plastic straws, they biodegrade! This photograph by Nicola Kuperus is absolutely amazing. Sigh. 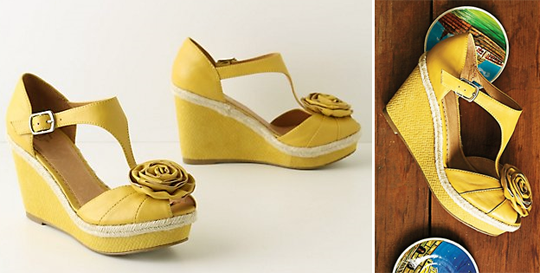 These lemon stick wedges are all kinds of awesome. I would wear them everyday. 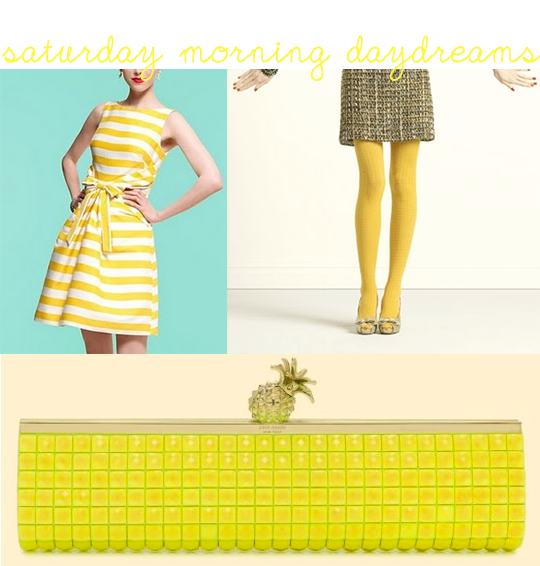 I've done at least one post on yellow before, but not as part of the Saturday Morning Daydreams series. Today, I feel like this golden color is worthy of all my daydreams, with wedding planning (yellow + gray = our colors) and all things summer floating around in my head. Yesterday, my sister Morgan came up from Indianapolis, and she, my mom, and I had lots of fun drinking sangria with strawberries and bright yellow lemons while making wedding lists on scraps of paper. I took them to the venue and they were in awe of all of the beautiful, native wildflowers (most of which, of course, were yellow). Oh sweet yellow, you're my favorite color for endless reasons. And this Saturday morning, you fill my daydreams, all sunlit and beaming. *Wedding planning is always better with wine and sangria. I'm loving yellow lately! I found some yellow seashells, and I'm dying to make something with them :D Good on you for using paper straws!!! I love this! I also love the flower dress in the 3rd pic is wearing! So cute! The yellow Kate Spade dress is to die for!!! You are right... she can do no wrong! I LOVE YELLOW!! :-) This is such a great collection of yellow goodies. 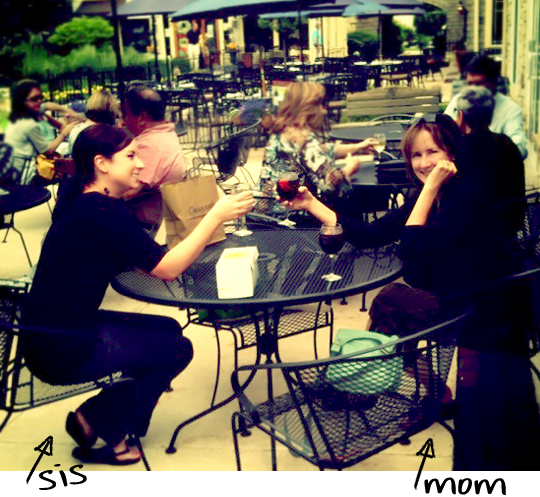 Your mom and sis are so cute too, have fun wedding planning!! I love yellow... it's such a pretty, cheerful color! I'm in love with everything about this post. Yellow is my absolute favorite color! anybody else besides me never heard of paper straws before? great fam pic, & happy wedding planning melissa! I love this so much!! 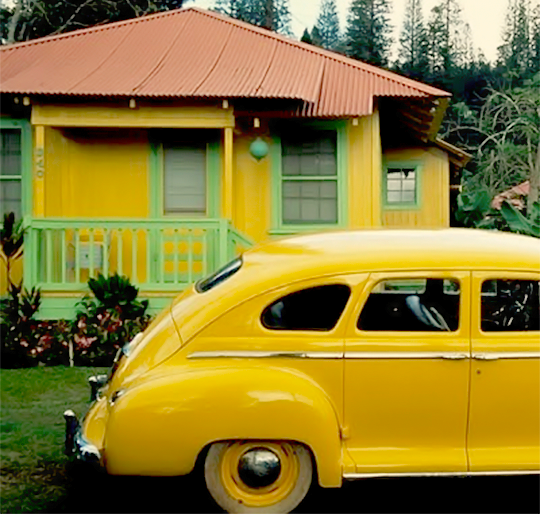 I always wear yellow- it is the happiest and cheerfullest color :) I LOVE that little yellow house and little yellow car!